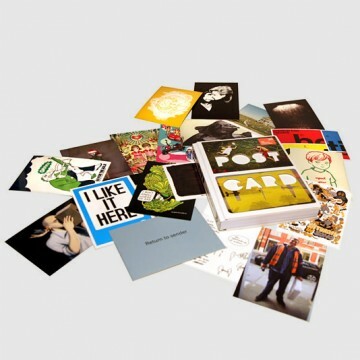 Postcard (Laurence King Publishing) — compiled, written and designed by FL@33, Agathe Jacquillat and Tomi Vollauschek. Postcard is a celebration of recent postcard design, this unique book showcases over 800 miniature works of art, specially created for a postcard-sized canvas: a must-have for avid collectors as well as anyone with a passion for graphic design. Features over 100 artists, illustrators, photographers, designers and collectives from around the world, with new talents sitting alongside established artists. Separate sections are devoted to one-off designs, limited-edition sets and books, unusual and hightech postcards and interactive projects. Includes a huge range of handmade artworks, cutting-edge illustrations, commercial promo cards, and even edible and musical postcards. FL@33 conceived, compiled, wrote, edited and designed a total of three books that were published worldwide by Laurence King and partner publishers: Postcard appeared in 2008, followed by Made & Sold: Toys, T-Shirts, Prints, Zines and Other Stuff in 2009 and more recently The 3D Type Book in 2011. 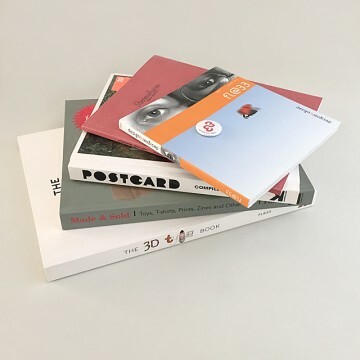 Postcard was also translated into French (Cartes Postales, Pyramyd Editions), German (Postcard: Postkarten-Design heute, DuMont Buchverlag) and Spanish (Postales: Diseño por correo, Gustavo Gili).